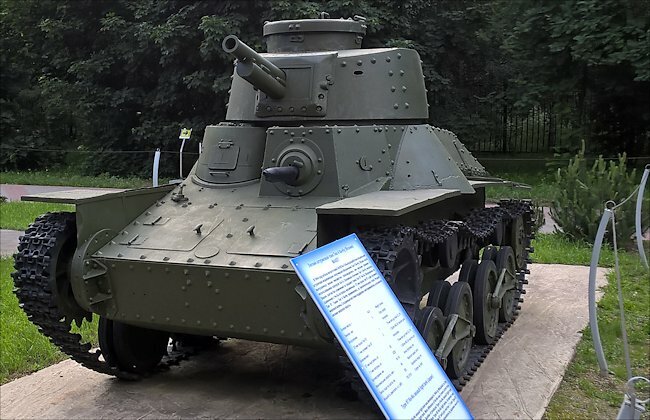 There is a captured WW2 Japanese Imperial Army Type 4 Ke-Nu light tank at the Central Museum of the Great Patriotic War 1941 - 1945 in Park Pobedy, Moscow, Russia. The tank's full name is Type 4 Yon-shiki keisensha Ke-Nu. There are only two surviving examples left in the world. 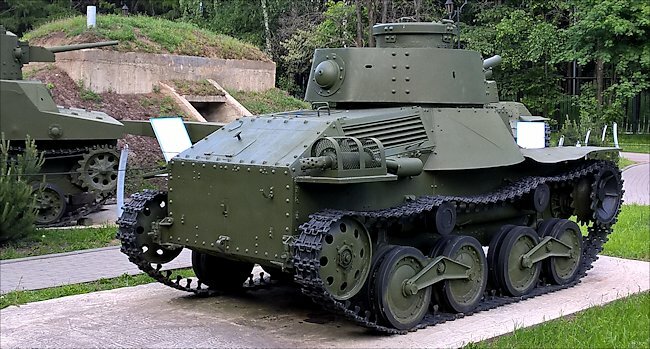 The Type 4 Ke-Nu light tank only weighed 8.4 tons. Its armour thickness ranged from 6 mm to 25 mm. It had a three man crew: commander, driver, gunner. It was armed with a low velocity short barrelled 57mm anti-tank gun and a 7.7 mm hull mounted machine gun. The tank was powered by a Mitsubishi A6120VDe air-cooled inline 6 cylinder diesel engine that produced 120 hp. It had a top road speed of 40 km (25mph) and an operational range of 240 km (149 miles). Only 100 Type 4 Ke-Nu light tanks were produced. This tank is made up from unwanted spare parts that the Japanese Imperial Army had left over from changes made to other tanks in their service. Rather than scrap them a decision was made to use them. Japan was always lacking in resources so this was the logical thing to do. A large number of low velocity 57mm guns had been taken out of the type 97 mm Chi-Ha. 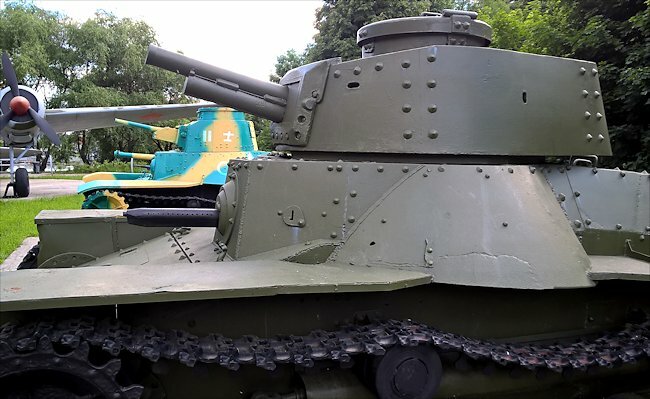 During the Second Sino-Japanese War and the Japanese-Soviet Border War in 1939 it was found that the 57 mm gun lacked the punch to knock out enemy tanks. A high velocity 47 mm gun was installed in a new larger turret and fitted to the tank chassis of the Type 97 Chi-Ha medium tank to produced the improved Type 97 Shinhoto Chi-Ha medium tank. This meant that there were a lot of Type 97 turrets left over as well as 57mm guns. In 1944 this turret and 57mm gun was fitted to a Type 95 light tank chassis. The thicker 25 mm armour on the tank turret was an improvement on the earlier turret fitted to the Type 95 Ha-Go light tanks. This extra protection was not enough to stop allied anti-tank shells. It only stopped small arms fire and high explosive shell fragments. It was useful in a scouting roll and helping infantry attack enemy strong points and machine gun nests. Where can I find preserved Type 4 Ke-Nu light Tanks?